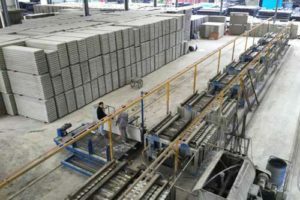 The overall world development trend of brick from clay to non-clay, from solid to hollow, from the small to large, from heavy to lightweight, from low intensity to high-strength, from high to low energy consumption. 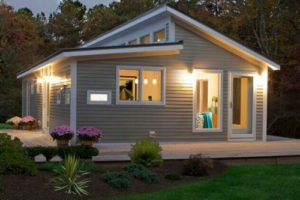 And the project is stressed to wall lightweight, high strength, thermal insulation, waste utilization, energy conservation and other functions.Therefore, the implementation of the project is imperative. The panel can meet the requirements of the modern building standard. 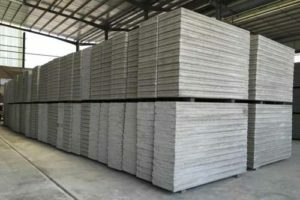 The raw materials used are Lightweight aggregates, fly ash,etc, non-reinforced concrete, gravel and other heavy raw materials. So it has the characteristics of lightweight, which is only 1/16 weight of the brick and concrete structure. 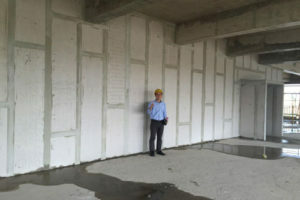 It can significantly reduce the vertical load of the building structure and reduces building weight and project cost. What most important is, As this new wall panel is core of EPS insulation materials, which insulation performance is extremely advantageous and meet the building energy efficiency design standards, and rank first among similar products. Hongfa wall panel is non-burning, and according to the testing, it is reasonable fireproof materials, for the 90mm thickness wall panel, the fireproof performance can be more 3 hours. 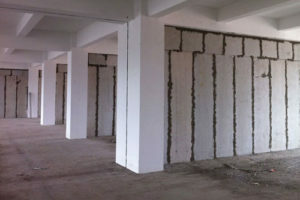 As new wall panel is using EPS and concrete composite as filling core, it has good sound insulation and air aspiration, which is more than 40 db sound insulation. 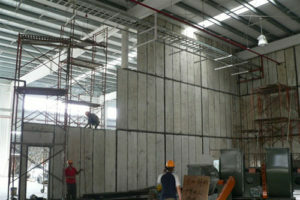 Hongfa manufactures length 2440mm* width 610mm wall panels, thickness ranges from 75mm to 150mm. Also we can adjust the length to 2270mm for loading container requirement.